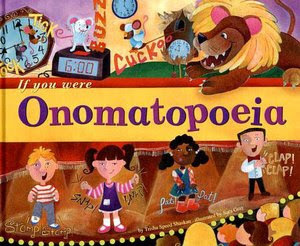 In my quest to find ideas for teaching writing right from the beginning of the school year, I came across a lesson on the craft of using onomatopoeia in the book I Can Write Like That! 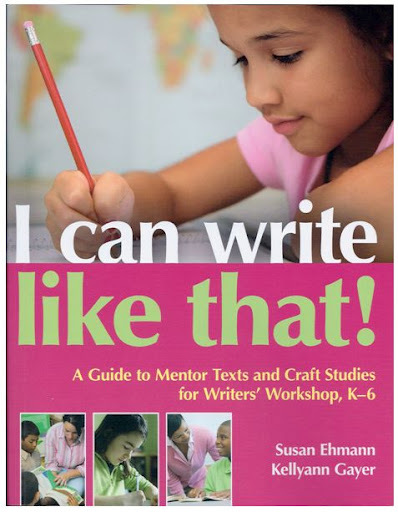 a Guide to Mentor Texts and Craft Studies for Writer's Workshop, K-6 and thought what a simple and great way to start the school year writing. Just like adding simple labels, our youngest writers can add onomatopoeia or words that describe sound to their writing pieces. 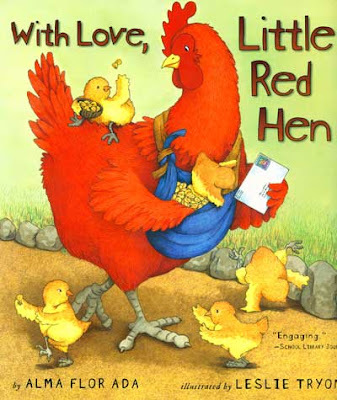 The use of onomatopoeia and alliteration are abundant in children's literature and can easily be identified by our youngest learners so they are both perfect crafts to start with when teaching writing. Begin by selecting mentor texts containing onomatopoeia- some books may be filled with onomatopoeia while others may contain just one or two choice examples. 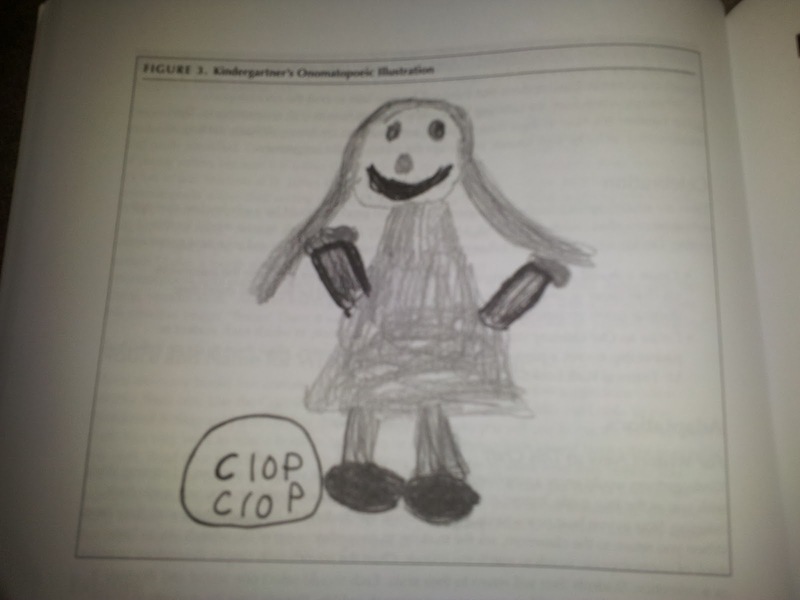 Encourage your students to find differences in the ways the different books use onomatopoeia. Guide them to see the various distinctions between the kinds of onomatopoeia used in books such as animal sounds, indoor sounds, nature sounds, action sounds, etc. A Tree Map would be a great way to chart these different types of sound words. Have students close their eyes and listen for the different sounds around them for 30 seconds. Then have them share the sounds they heard. Chart their ideas. As a class come up with an onomatopoeic word to describe the sound. For example: "tap, tap, tap" or "scratch, scratch" or "eeek, eeek, eeek", etc. Chart the new words with pictures that match the sounds. Take students outside the classroom to find new sounds. Stop periodically and draw their attention to new sounds. 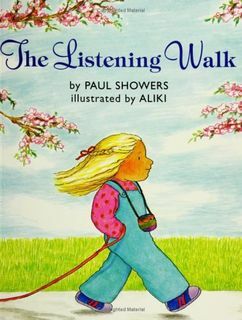 As a class, create a shared writing piece based on a class listening walk. 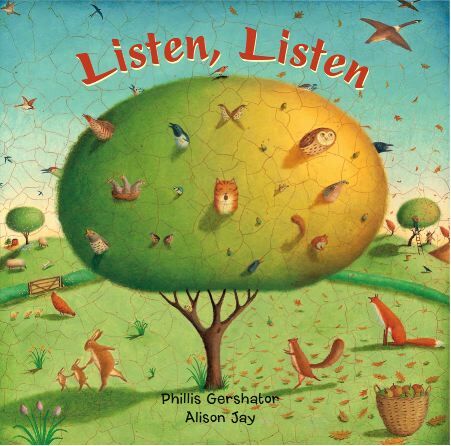 Use the book The Listening Walk as a model for the piece. Invite students to give onomatopoeic words to fill in the sentences. Transfer the story to smaller sheets of paper. Then have students work together to illustrate the sentences. 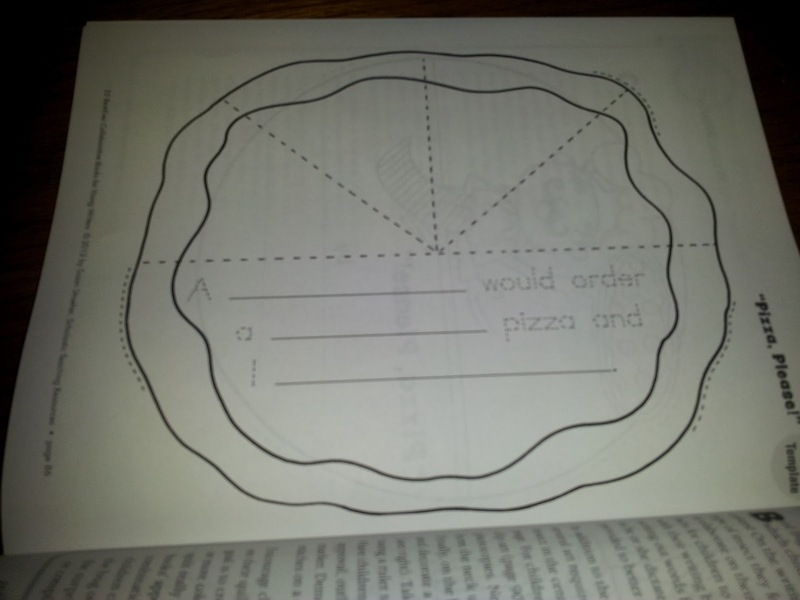 This is a kindergarten example from the book. This craft is a great place to start because it is so readily found in children's books, children can relate to it, and it brings the writing down to 1-3 words. 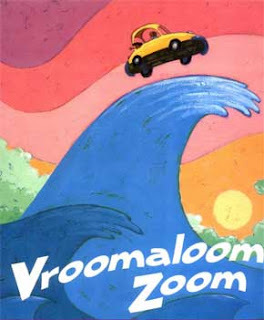 If you know of other great mentor texts for teaching onomatopoeia please share them in a comment below. 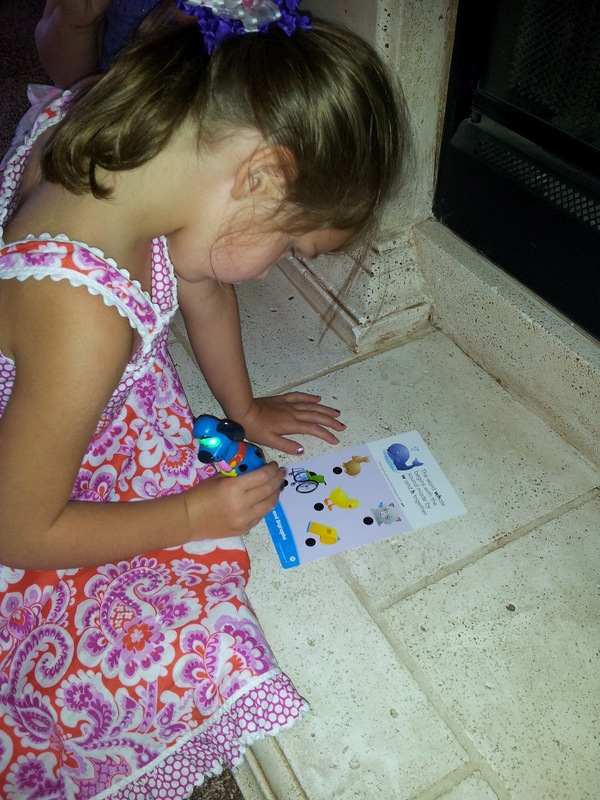 Thanks to all of you who entered the Hot Dots Jr. giveaway sponsored by Educational Insights!! The lucky winner of the Hot Dots product is Dawne!! Thanks again to Educational Insights for donating the Hot Dots Jr. set to giveaway and to all of you who took the time to enter!! At the start of every school year I debate over what type of name tags to use because I feel like they are always such a hassle. Stickers come off too easy and kids play with them and peel them off when they shouldn't and yarn name tags are even worse because the yarn gets all tangled up, kids pull the cut out off the yarn, and they constantly twist and play with the yarn. So... I was super excited to find Fran's latest post on the Art of Making Name Tags!! For more information on how to make these name tags and for Fran's free download click here. I went to Walmart today and bought everything I needed to make them!! Thanks Fran for the tip. One of my favorite ways to write in the classroom is by making class books. 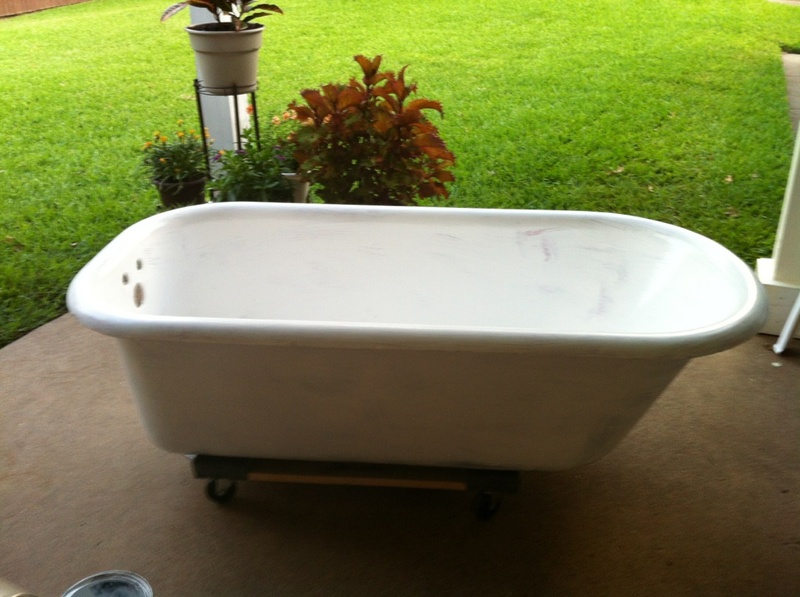 We begin making them as soon as school starts and continue on throughout the school year. 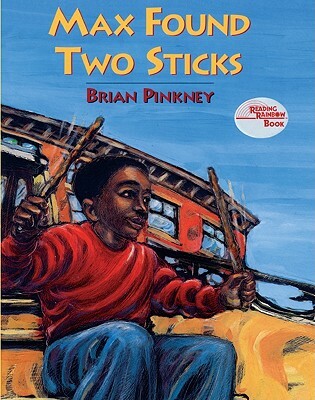 At the end of the year I divide the books up and each student gets to take home several of the books to keep. Today I came home and was super excited because an Amazon box of new books was waiting for me on my door step. One of the books inside was my newest favorite writing resource- 25 Best-Ever Collaborative Books for Young Writers by Susan Stroeher. This book contains everything you need to use take-home class journals, individual shape books for different concepts, and fun collaborative class books. There are templates for the covers of the books, letters to parents, and the book pages for the students. For years I have used Poco and Pop's Take Home Class Journals and my students have absolutely loved them. They always fight over who gets to take the journals next. This book takes the journals a step further with cute writing pages for each book and all the templates and patterns you need to make them. There is also a great rubric for using with even the youngest writers. A few of my favorites from the book are The Question Journal (a journal for asking and answering all kinds of questions), The Zoo Book (students write about a sleepover with their favorite zoo animal), Please Pass the Sugar, Mr. President (a class book about having tea with Abraham Lincoln and George Washington), Bed Bugs (students write about an adventure with a bug they find hiding in the bed), and Class Reporter (a journal for gathering and sharing information from the newspaper- this is great for teaching the media TEKS). Here are a couple of sample pages from the book so that you can see how it is set up and how great it is- parent letter, book cover, and student recording sheet. You will also find common core standards for the books as well as a list of writing strategies for teaching young writers. Can't wait to add these great journals and books to my class plans for the year!! 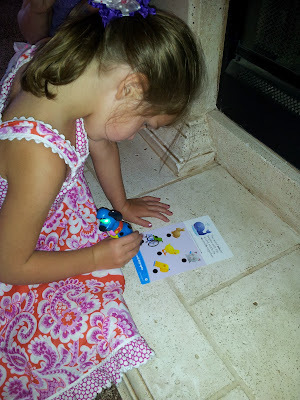 I recently had the opportunity to try out Hot Dots Jr. by Educational Insights. 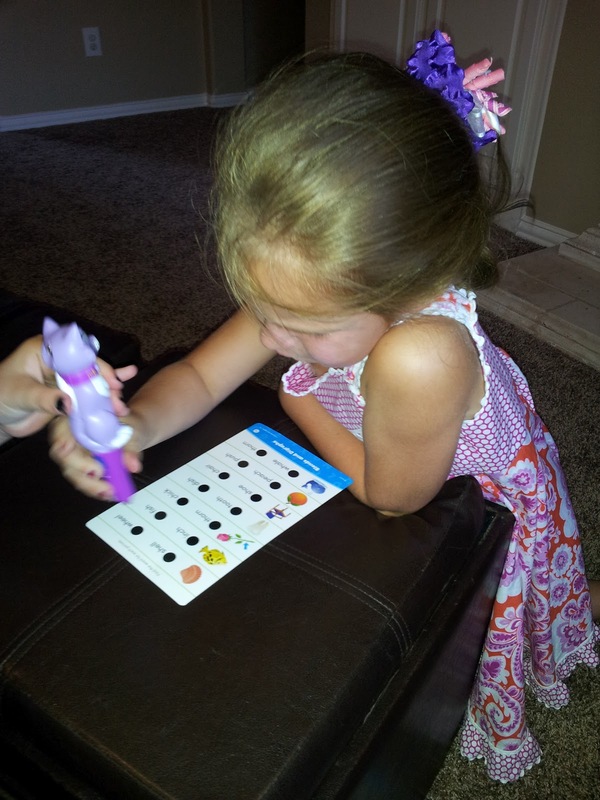 I used the Phonics Fun set with my niece, Kylie, and Jack, the little boy I tutor. 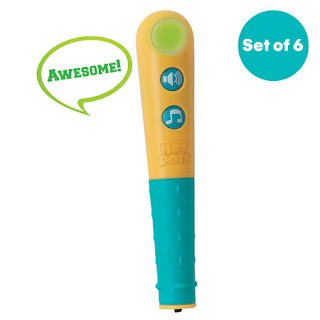 Both of them had tons of fun using Ace- the talking and teaching dog pen and Kat- the talking and teaching cat pen to read and work cards on letter sounds, short and long vowels, blends and digraphs, and beginning reading comprehension. Hot Dots Jr. was designed for kids age 3-5. The Phonics Fun set that I tried out includes 160 interactive learn-to-read cards. I loved the variety in the level of difficulty in the card sets. You can decide which set of cards works best for each one of your students no matter what their learning level is. The cards and pens are easy to use so they are perfect for independent practice, literacy stations, or for word work if you are using the daily five. Your students will love the talking and teaching animal pens!! The pens give students immediate feedback on their work. The pens motivated Kylie and Jack to continue reading and keep working more cards which is what every teacher wants- for learning and practice to be so much fun that students do not want to stop. 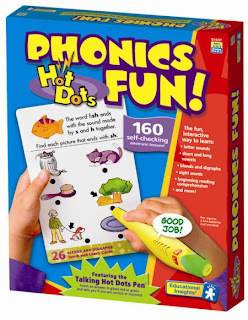 There are Hot Dot Jr. sets for teaching and practicing the alphabet, beginning Phonics, numbers & counting, colors, shapes, patterns & sequencing, beginning science, and beginning problem solving. 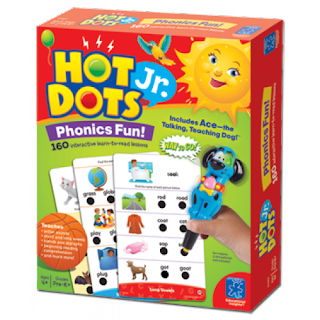 You can check out all of the Hot Dots Jr. sets here. There are Hot Dots sets for teaching Animals/Plants/Ecosystem, Astronomy, Earth and Weather, Force/Motion/Simple Machines, Human Body, Matter and Energy ( Age 7+), Phonics (Readiness, Consonants, Vowels, Blends and Digraphs, Word Families, and Variant Vowels ( Age 5+), Vocabulary Development (Synonyms, Antonyms, Homophones, Context Clues, Multiple-meaning Words, Prefixes and Suffixes ( Age 7+), Reading Comprehension (Getting the Main Idea, Noting and Recalling Details, Drawing Conclusions, Using Context Clues, Finding the Sequence, Making Inferences ( Age 7+), Academic Vocabulary (Grades 1-3 or Grades 4-6), Math Word Problems (Grades 1-3 or Grades 4-6), Math Flash Cards (Addition, More Addition, Subtraction, More Subtraction, Multiplication, Division, Fractions, Money, Telling Time ( Age 6+), AND States & Capitals ( Age 8+). You can check out all of the Hot Dots sets here. Educational Insights has graciously agreed to giveaway one pen and one card set to one lucky follower!! The winner gets to choose which pen and which set of cards he or she wants. 3) Leave a comment(s) saying you did number 1 and 2. Don't forget to leave your name and email in your comment. The giveaway ends Sunday July 29th at midnight. Good luck!! 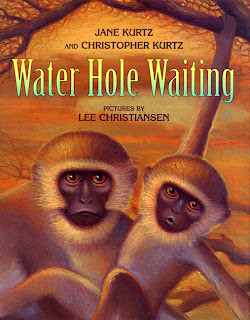 Wild About Writing Wednesday and a GREAT Giveaway! 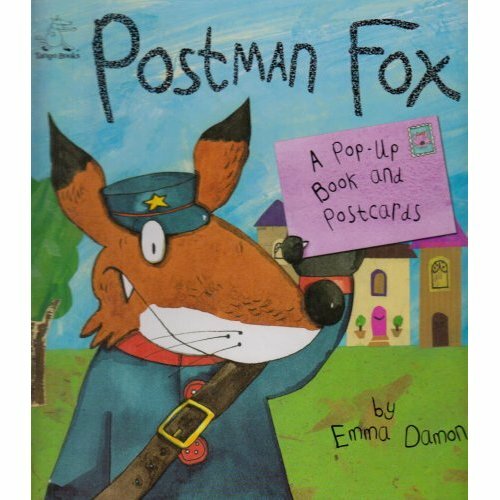 This week's writing tip is all about using postcards in the classroom and it comes from the book Teaching Real-Life Writing to Young Learners. Postcards are an easy and fast way to get your students thinking about writing to friends, classmates, and family members. They are short and easy to manage when trying to get your youngest writers to send a message to someone. 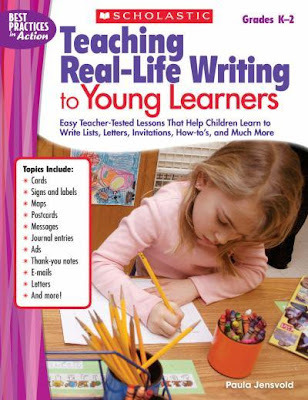 They also bring about a great sense of accomplishment for your students because they involve writing for a purpose and they go through the mail whether it is class mail, school mail, or the real mail. Introduce postcard writing by discussing with students reasons why people write postcards. 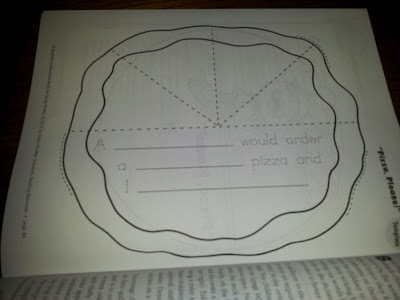 Create a circle map or other graphic organizer to show all of the reasons your students share. Have students share stories about times they have sent or received a postcard. 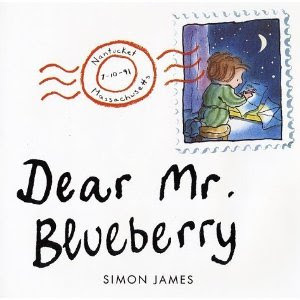 Younger students may not be familiar with postcards so introducing postcard writing with the literature links below or by showing real examples of postcards is a good way to get started. Introduce postcard writing by modeling the process. Create an over-sized "postcard" to send to someone or another class in the school. Draw students attention to the fact that when you write postcards you only write a short message. If you introduce postcard writing with the book Arthur Goes to Camp have students see what all they can figure out and gain from Arthur's short messages. For example, how Arthur might be feeling or what he might be thinking about what he is writing about. For your youngest writers you will have to model, model, model before turning them loose to write their own postcards. 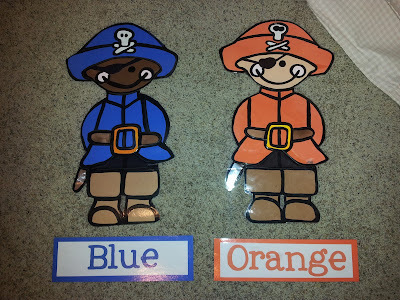 My favorite way to use postcards in the classroom is with Poco & Pop's Monthly Classroom Stationery Set. If you are not familiar with Poco & Pop then you must check them out! 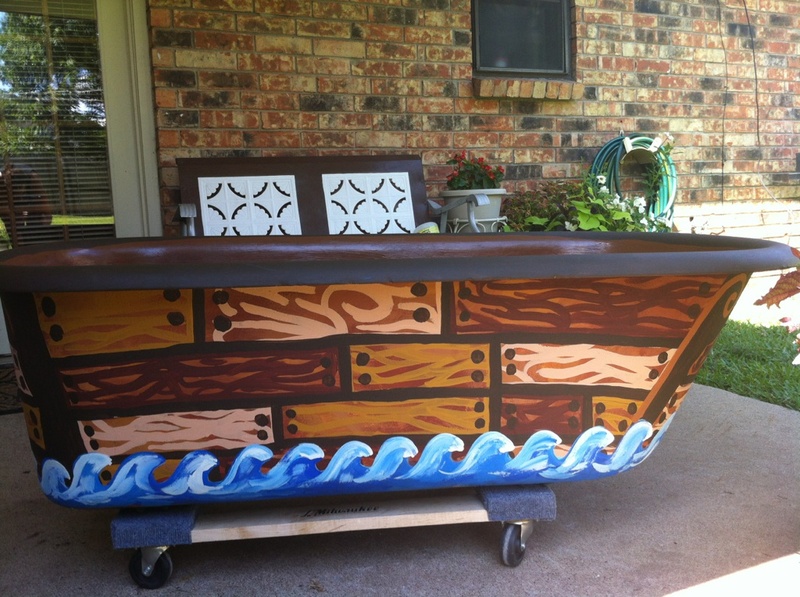 I love all of Susan's stuff!! The stationery set contains 12 large colored stamps for display in the writing center and 26 black line masters so you can run off as much stationery as you need. There are 2 formats for each month or celebration- a postcard and a fold-over version. I wish I had pictures from my own classroom to share, but since I can't find any right now I used some from the Poco & Pop site. My class has used the stationery to write letters to each other and to family members. They absolutely love writing to each other and being able to switch the postcards, stamps, and stationery out each month keeps them engaged all year long! Check out our fun mailbox below made by my BFF Amanda!! The kids put their postcards in the mailbox when they are ready to send them to their friends. And now for the MOST IMPORTANT and BEST news in this post... Susan has agreed to giveaway a set of the writing stationery to one lucky blog follower!! Woohoo!! 1) Check out the Poco & Pop website. 2) "Like" Poco & Pop on Facebook. 4) Add Chalk Talk to your blog roll if you have a blog. 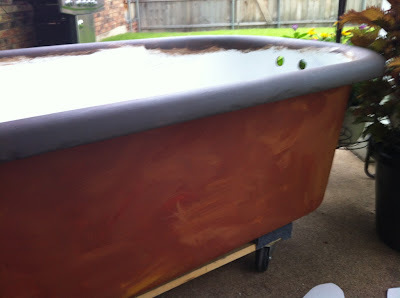 5) Post about the giveaway if you have a blog. 6) Like Chalk Talk on Facebook. You can leave a single entry for all of the requirements or a separate entry for each. It is up to you! The giveaway ends Next Friday, July 27th at midnight. Good luck everyone! Next week I begin the process of moving all of my things from one school to another. Since I found out I was going back into the classroom on the last day of school I have not stopped thinking about my classroom, setting it up, the new kiddos coming to me, and everything I have to do to get ready for them. 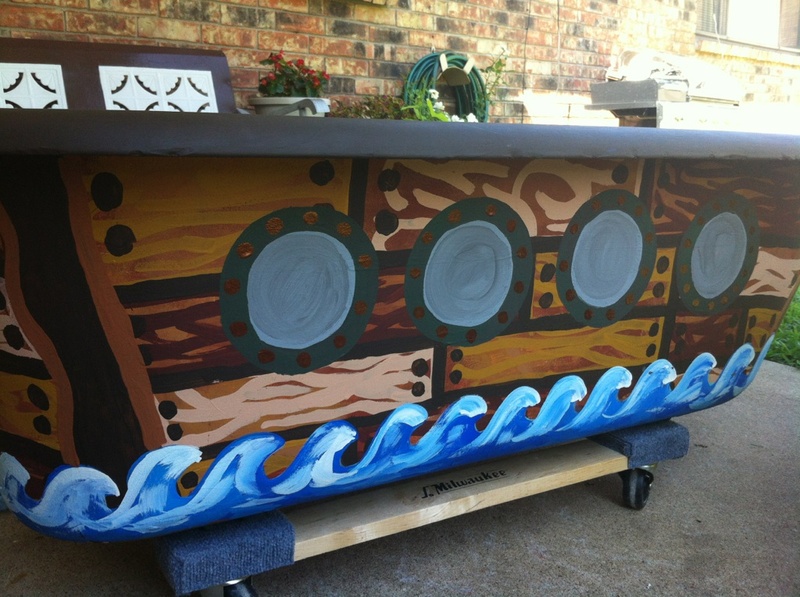 Since I LOVE the pirates that hang over my tables and my fun ocean color animals I wanted to stick with the pirate/ocean theme. 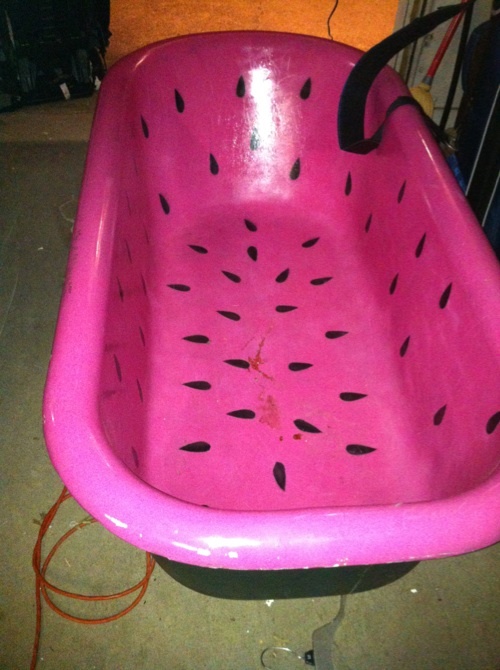 My good friend Liz gave me her watermelon claw foot tub to use as a reading space for the Daily Five. 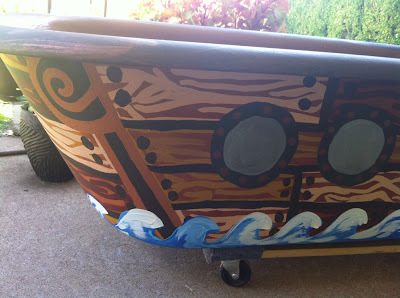 Then my creative friend Amanda took the tub and turned it into a pirate ship!! Her dad is making a sail to go on it now. The kids are going to LOVE reading in this!! Stay tuned to see it with the sail and in my classroom. I can't wait to move into my new classroom next week and get started setting it up. 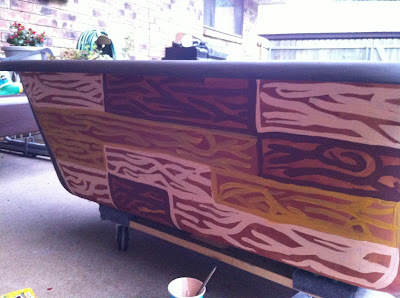 I will post pictures as soon as it is ready! I watched this great video this week on whole brain teaching. I had heard of whole brain teaching before but never really watched it in action. This video is great and it really turned me on to it. 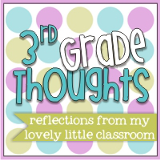 Stephanie from 3rd Grade Thoughts has made lots of posts lately on whole brain teaching and its different components. Go here to read all of her whole brain teaching posts. 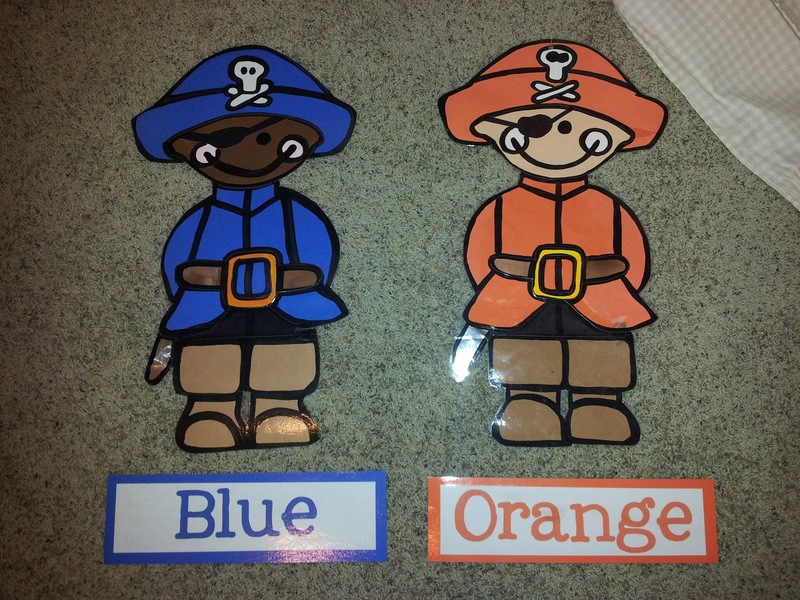 She also has some great whole brain teaching sign freebies at her TPT store. I love her brain breaks for the classroom unit too. Lori from Teaching With Love and Laughter has given my Who Am I Class book a SUPER CUTE makeover. You can check it out and download it for free here. You can also download a copy of her class book Our Classroom Rules and Procedures here. I love the idea of having your students illustrate and write about the rules after you create them as a class. Mrs. Castro's Class 100 Fabulous Followers Giveaway! Mrs. Castro's Class has reached 100 followers and in honor of the HUGE event, she is hosting a HUGE giveaway!! 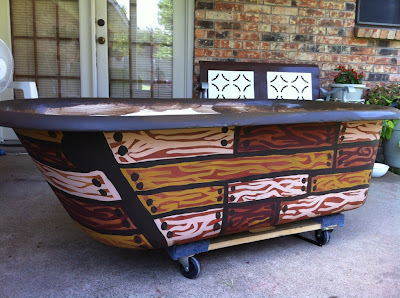 To check it out and the enter to win, visit her post 100 Followers Giveaway...IT'S HUGE! Kim Fisher!! Kim I will be emailing you shortly to get your address so that ETA can get your set of Versa Tiles in the mail to you. Thanks again to all of you who entered!! Here is another great word work freebie!! Its from Julie at Fabulous Firsties. I love all of the different word work ideas. This will be perfect for using with the daily five. 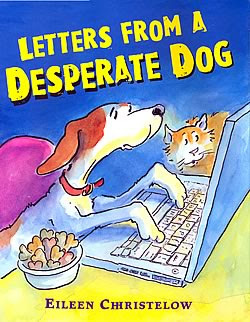 Go to Julie's post Mega Word Work Freebie to get a copy for yourself.